Tall and proud or dirty, not maintained and in ruins? 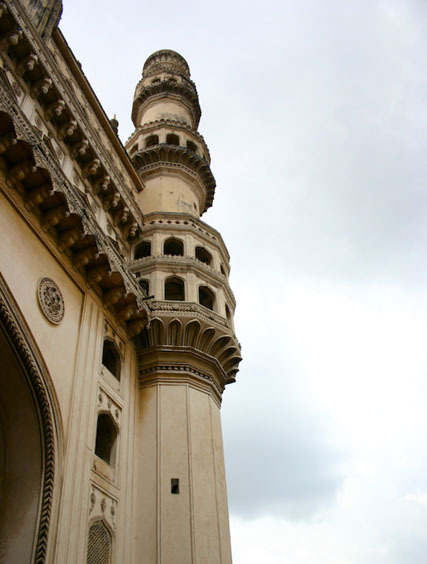 The west face of what is without doubt the symbol of Hyderabad — the Charminar. This post has been long overdue. 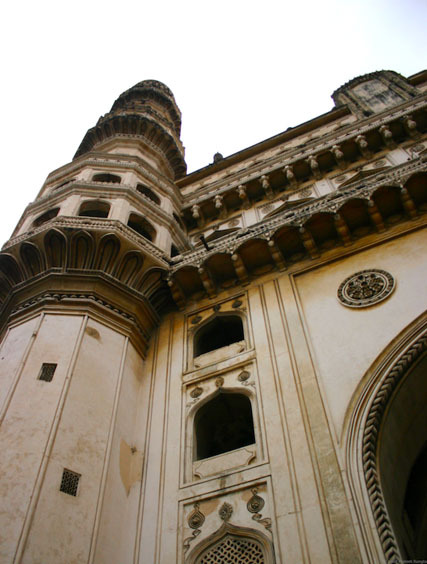 Charminar, like scores of other monuments in India is a fine piece of architecture, with a lot of history and culture. That it looks so splendid in spite of the negligent care it receives is a testament to its makers (although I wonder what they had against smaller sized steps). It is sad to see how little is being done to preserve these invaluable assets and simply infuriating to see drainage pipes jutting out of the structure. P.S. am glad you added the preview thing for the comments. Well captured! 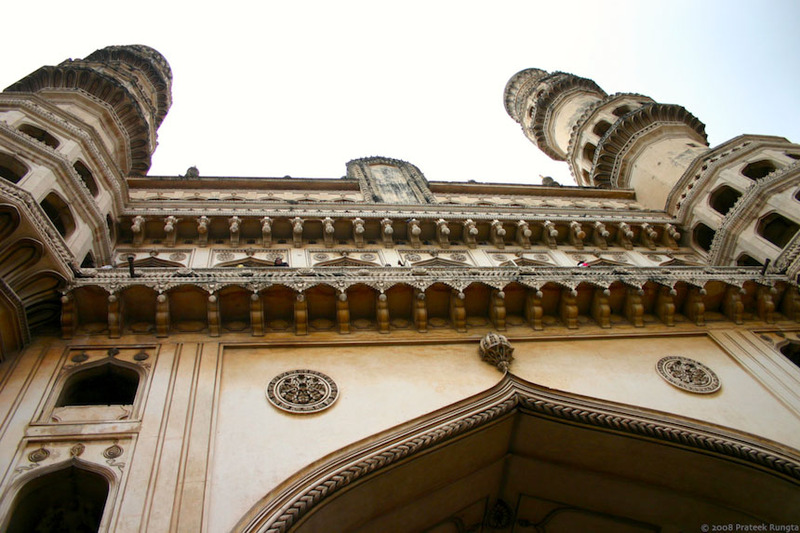 It’s refreshing to see the Charminar in close-up. Despite neglect and misuse over time, the Charminar is still infinitely more beautiful than any of its surrounding modern structures, all of which lack any artistic sense or individuality.